On Thursday of last week, I arrived back in the States after spending two weeks globetrotting and attending international investing conferences, first in New Orleans, then in Lima, Peru. Most recently I was in Melbourne, Australia, for the International Mining and Resources Conference, one of the largest and most distinguished in the world, attended by not only top economists, geologists and CEOs of mining companies but also mining ministers from all corners of the globe. I was encouraged to see that sentiment for gold was very positive. There’s a gold bear market here in North America, where the yellow metal has plunged to a six-year low of $1,083 per ounce on the strong U.S. dollar. But when priced in the weaker Aussie dollar, the precious metal is sitting at $1,520. As recently as last month, it touched $1,642. This, combined with lower fuel costs, has been a huge boon to many gold companies in the world’s second-largest gold-producing nation after China. The country has excellent sponsorship by both the Australian and state government of Victoria, where Melbourne was built like San Francisco in a Gold Rush. 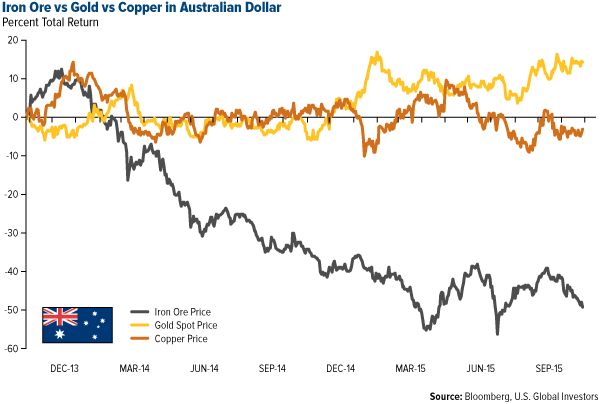 For the one-year period, the Australian dollar has fallen about 20 percent against the U.S. greenback, so gold looks very attractive—especially compared to iron ore and copper—and has lots of upside potential. As a result, if you look at the top Aussie gold producers by gross margin, they all beat the median for world gold producers, currently at 15.9 percent. We own the names with a star next to them. Also note the total returns for the one-year period, shown in Aussie dollars. 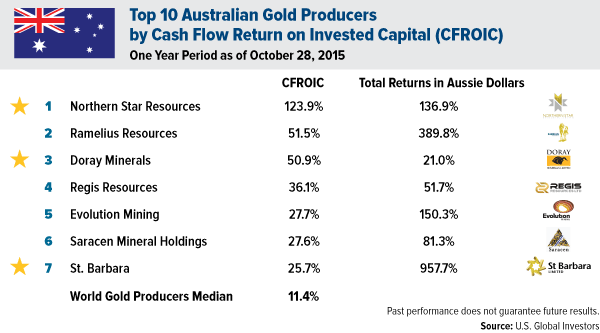 A similar story emerges when you look at the top Aussie gold producers by cash flow return on invested capital (CFROIC). We like to focus on stocks that offer high reserves per share, growth in sales, low debt to equity and high returns on invested capital. Australia has many outstanding companies whose financial fortunes have improved with a decline in the Aussie dollar. There’s little hope for iron ore to outperform due to China’s slowdown in mega-infrastructure projects, which means fewer imports. 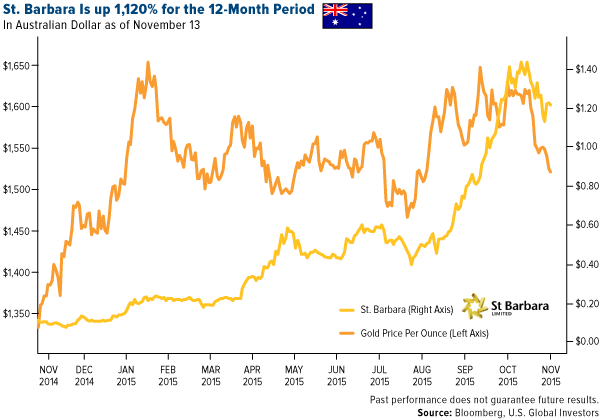 St. Barbara, one of our holdings, is up 1,120 percent for the 12-month period. The company operates in Western Australia and has a project in the New Zealand province of Papua New Guinea. 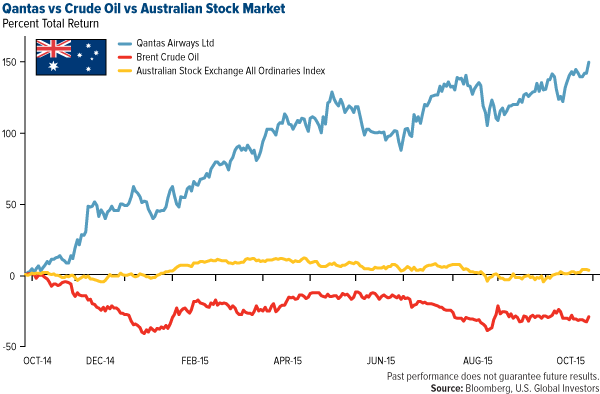 But gold companies aren’t the only ones reaping the benefits of a weak Aussie dollar and low fuel prices. 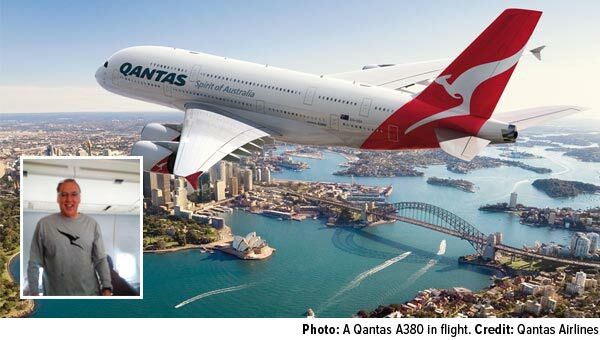 Qantas Airways, Australia’s flagship airline, was up nearly 150 percent for the 12-month period. During the conference, I had the pleasure to meet Bernard Salt, a columnist for The Australian and a popular social commentator who has written widely on changes in demographics and social behaviors. His presentation focused on how shifting demographic trends are shaping the demand for commodities. In a fascinating article published last month in The Australian, Bernard shows that there’s a “tectonic shift in corporate power” happening right now, from New York City to Beijing. 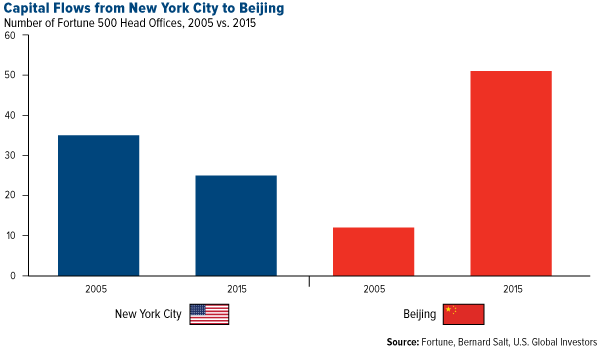 The number of head offices of Fortune 500 companies in New York has dropped from 36 to 25 between 2005 and 2015, while the number has risen in Beijing during the same time period, from just 12 to 51. What’s going on? It’s not that the U.S. economy is struggling, Bernard argues. It’s that China grew more rapidly over these 10 years—especially its middle class, a topic I’ve written and spoken about numerous times. In any case, it appears as if Greater Beijing is now the world’s most powerful corporate city. I also had the chance to hear Mark Bennett, managing director and CEO of S2 Resources, on the ingredients of a successful mining entrepreneur. The two-time recipient of the AMEC Prospector of the Year Award, he once served as chief geologist for LionOre Mining, which we used to own. He’s also just as capable in a New York boardroom as he is in the Australian Outback. In 2009, Mark seeded gold and nickel miner Sirius Resources with $5 million, and soon before it merged with Independence Group this year, it was valued at $1.5 billion. You expect to see this kind of growth with a tech startup, not a mining company! This is just further proof of how exceptional Mark is. 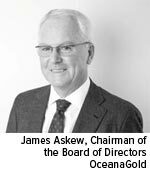 Also presenting was Jim Askew, Chairman of the Board of Directors of OceanaGold. Jim is a mining engineer with over 40 years of international experience as a director and CEO. 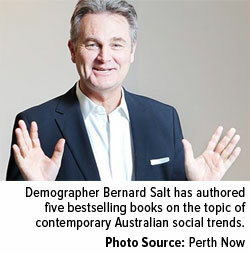 He also serves on the Board of Evolution Mining, one of Australia’s leading mining companies. Another notable speaker was Dr. Mehdi Karbasian, Iran’s deputy minister for industry, mining and trade, whose presentation on investment opportunities in the country’s mining sector drew a packed house. (Iran is seeking $29 billion of investment, following the lifting of sanctions.) To me, what really stood out was how inexpensive labor and energy in Iran were. According to Karbasian, skilled labor costs about $300 per month, whereas in Australia it’s closer to $300 per day. And as for energy, a kilowatt hour (kWh) will set you back only a penny and a half. (In the U.S., it’s between 5 and 15 cents on average.) Meanwhile, Iran sits atop the second-largest natural gas reserves in the world, following Russia. My question, then, is this: If energy is already so cheap and abundant, what does Iran possibly want with a nuclear power plant? It makes you wonder.